A puzzle may be an ordinary toy you give your child to keep him busy. But its’ benefits go far beyond that. Research studies have shown that puzzles play a very important part in a toddler’s development. 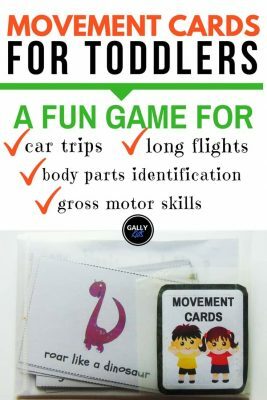 It develops spatial skills, facilitates hand-eye coordination, increases creativity, enhances problem solving skills, accelerates fine motor development, boosts confidence and self-esteem and advances social skills. With all these many benefits, it’s only right to have your child play with puzzles as soon as she’s ready to play with one. 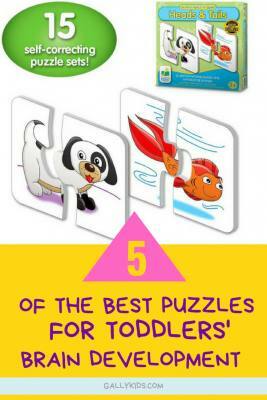 So what are the best puzzles for toddlers? If this is your toddler’s first time playing with puzzles, start with a basic one like a shape sorter. You can then move on to wooden puzzles wherein one large piece like an elephant , fits into a cutout shape on the board. From there, move on to puzzles with more pieces. 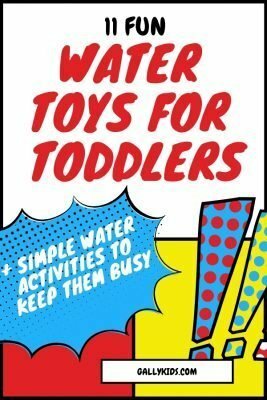 How To Teach Toddler Puzzles? When Can Toddlers Do Puzzles? What Are The Benefits of Playing With Puzzles? How do Puzzles Help A Child’s Development? 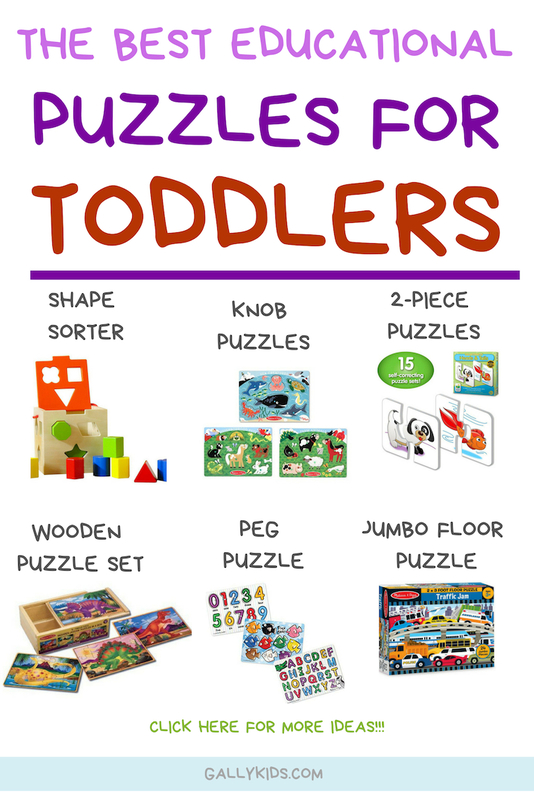 You’ll never be short of choices when it comes to puzzles for toddlers. 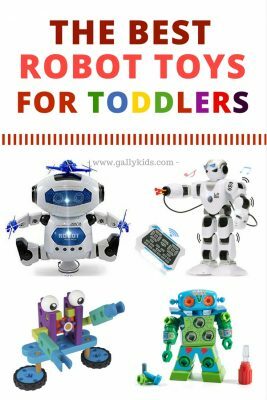 But if you want to increase the chances of your 2-year-old playing with the puzzle, choose images and shapes that interest him. Here are some of the best puzzles for toddler’s development that I’ve found. 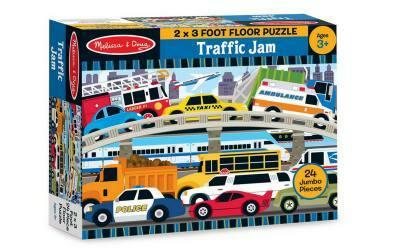 These are big and chunky puzzles so your child will have no problem holding them. 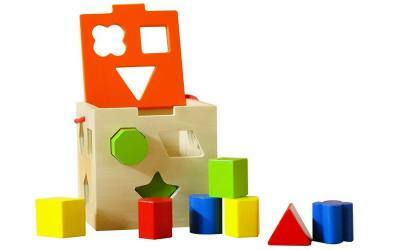 The Cubbie Wooden Shape Sorter is a basic toddler puzzle for recognizing different shapes. It comes in a 5’5″ x 5’5″ wooden box which is also a storage space. 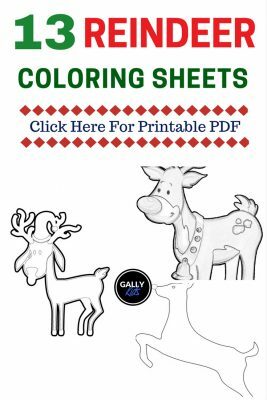 This is good for kids who are just starting with puzzles. It’s easy to do so that it doesn’t frustrate them. And once they figure out what to do, it boosts their confidence too. What I like most about this puzzle is that it can be as fun toddler activity for enhancing developmental skills. For example, the top of the box has a hinged lid. Because of this, children can play with the Cubbie Wooden Shape Sorter as a “bucket” for putting things in and out. At the same time, the shapes can also be stacked one on top of the other for some basic tower building work. 2-piece puzzles are a good introduction to puzzles with more pieces. It’s a good way for your toddler to learn how puzzles work. The knobs on the Melissa & Doug Wooden puzzle makes it easy for toddlers to grasp and lift. This is a set of 3 puzzle boards. 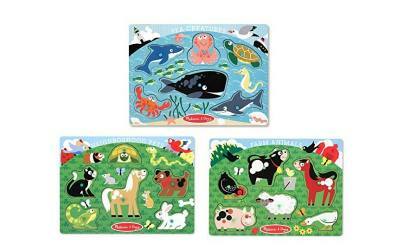 Each puzzle board has 6 wooden pieces with different themes which are farm animals, neighborhood pets and sea creatures. I like the theme variations so it doesn’t get too boring for kids. Also, each space in the board where the animal slots in has a picture of the animal that goes in it. This makes it easy for young kids to identify which animals goes in. They’re wooden and they’re chunky. and they’re dinosaurs. 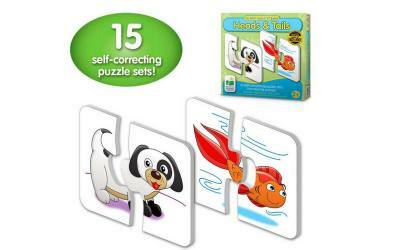 This wooden puzzle set is the combination you need for a perfect puzzle for toddlers. 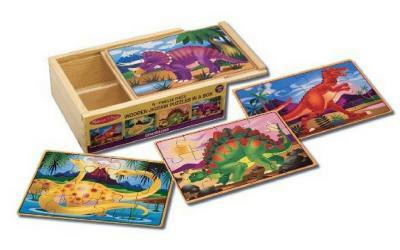 When your child is ready to move on to puzzles with more pieces, check out this set of dinosaur puzzles by Melissa & Doug. I especially love the storage box this puzzles go in. This may seem such a little thing, but you’ll be thankful for it. You will always know where the pieces are and it makes it easy to take with you when you’re out and about. When your child finally moves on to doing more puzzle pieces, she’s going to love this Jumbo floor puzzle. It’s 3 feet long and has 32 pieces. It has a traffic/transportation theme. It’s the perfect size for little hands. 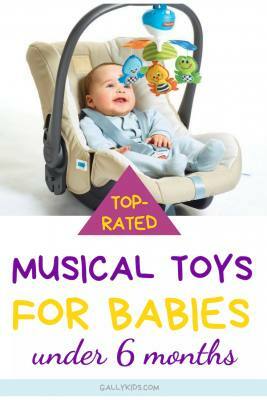 With its vibrant colors and beautiful clear images, you can easily engage your child while doing it. Don’t forget to talk about the different colors, the cars to widen his vocabulary. 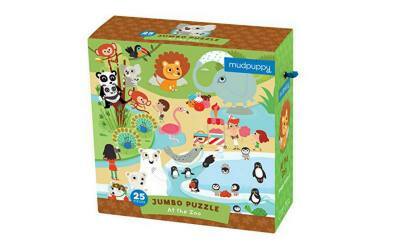 I love the whimsical and cute illustration in this 25-piece floor puzzle by Mudpuppy. This is made of thick cardboard and one that toddlers hands can easily handle. Children can play with this on the floor or a table if they want. Parents love that this puzzle is sturdy and well-made. Each puzzle connects to the other pieces around it without any problems. It’s also not too busy so it’s easier for younger toddlers to connect the pieces together. This comes in a box that you can easily carry with you when you travel. Click Here to see how much parents love this puzzle in Amazon. This Wooden Peg Puzzle isn’t just an alphabet puzzle. This is a set of 3 different puzzles with different themes. 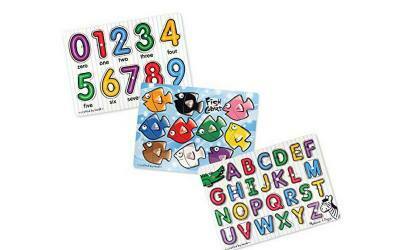 Each puzzle set teaches different concepts: colors, numbers and alphabets. Did you know you can order a personalized puzzle with your toddler’s name on it? How wonderful is this personalized toddler name puzzle? Your child can benefit from these puzzle in many ways. She’ll get all the advantages that playing with puzzles bring. At the same time, she’ll also begin to recognize the letters in her name. There are many different ways to make a toddler puzzle. Here are some pretty cool toddler puzzle ideas that you can do at home too. All you need to make this puzzle are popsicle sticks, paint, drawing pens and a little creativity. 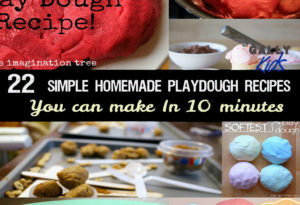 It’s very easy to make too. Here’s another one that you can easily do using your child’s favorite movie character (or a family picture) and popsicle sticks. I have made this one. And my advice is to make sure that the glue is totally dry and that you have a sharp utility knife to make the puzzle pieces clean and neat. If you’re looking for a puzzle that you can take with you when you’re traveling, check out our travel binder printables at the shop. There are 13 activities in the kit and one of the printables are pictures that you can cut to make into puzzles. Just like here on this pic. Check it out here. Isn’t it great what you can do with a paper plate? Just draw faces on it, cut it in half and you got yourself a puzzle. Yes. The CDC Milestone checklist recommends that toddlers play with puzzles starting at 18 months. Puzzles are great educational tools. But you don’t have to teach it. You play it. What I mean is that the most important thing is to make it fun. Children easily learn this way. Start with the most basic puzzle like a shape sorter or an image that slots on to a wooden board. It needs to be easy enough so she doesn’t get frustrated. Whenever she gets one right, clap and praise her. This gives her the signal that she’s doing the right thing. This boosts her confidence to keep doing it. Show don’t tell. Don’t just put the puzzles in front of your child and wait for genius to happen. It’s true that some kids will figure it out, but most kids will need a little bit of showing from the start. Talk while you’re doing the puzzle. So if you’re putting in a square into a square space, say something like “Oh look! The red square fits in this square!”. You can then ask him if he wants to try it. If he does and he gets it right, make a big deal of it. If he doesn’t get it right, show him again (with enthusiasm in your voice). If he still doesn’t get it right and he’s looking a bit frustrated, stop the game. There’s always tomorrow. Give it another try the next day. And the next. And the next. Until he gets it!!! And then when he does, applaud him. Praise him for his effort. Praise him for his accomplishment. Once your child get’s the hang of a one-piece puzzle, move on to 2-piece puzzles, then 4 then 6. Don’t just suddenly make a big leap to 24. A child needs to go through these steps to learn things and to enjoy the process, too. Some toddlers just don’t like puzzles. Don’t overwhelm or force him to like it. Put it away for a week or two. And try again another day. Another thing you can do is for you to play with it, making sure he hears you talking as you do it. Then, don’t get him to do it right away. Leave it where he can see it. And one day, he might just pick it up and do it himself. This varies greatly between toddlers. The CDC Milestone checklist shows that your child can start playing with puzzles at 18 months. You’ll find that at this age, some toddlers are readily open to it while others would just see it as the next thing to chew on. A study by the University of Chicago concludes that children who play with puzzles between 2-4 years old have more developed visuo-spatial skills. This is the ability to perceive spatial relationships in respect to the orientation of one’s body despite distracting information. This is a very important and highly-valued skill in a lot of STEAM professions. For example, a surgeon needs to highly visualize a person’s anatomical structure to know exactly where to insert a catheter through one’s chest without hitting the lung. But it isn’t just in STEM professions that spatial awareness is useful. It is also important in playing sports, in dancing and even how to negotiate an obstacle course! What do Children Learn From Doing Puzzles? What do puzzles do to the brain? What skills do puzzles develop? With that said, playing with puzzles also develops the brain and accelerates the development of your child’s cognitive skills. As I’ve mentioned above, a lot of this has to do with the development of visual-spatial abilities. You see, spatial ability includes a lot of different other skills that are important in our day to day life.